Bolton Wanderers striker Conor Wilkinson has agreed a contract extension until 2018. The 19-year-old moved to Bolton from Millwall in 2013 on a three-year deal and made his first two appearances for the club this season in the League Cup. 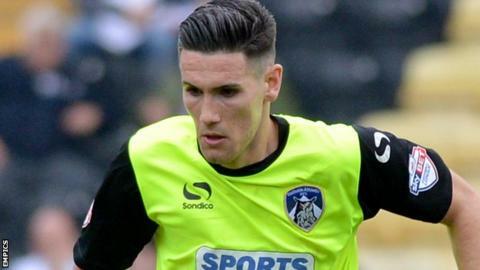 Earlier this year he spent one month on loan at League One side Oldham and has also had stints at Chester and Torquay. "Over the moon to have signed a new contract until 2018. Hard work starts now," Wilkinson said on Twitter. Meanwhile, Bolton manager Neil Lennon says he expects a decision from former striker Eidur Gudjohnsen over his future, after training with the club in recent weeks. "We're hoping he'll make a decision this week," Lennon told BBC Radio Manchester. "If we can get him in, he will bring a bit of class and creativity to what we're doing."